Nice touch to personalise the card before it is given. Beautiful design - this will be truly treasured! 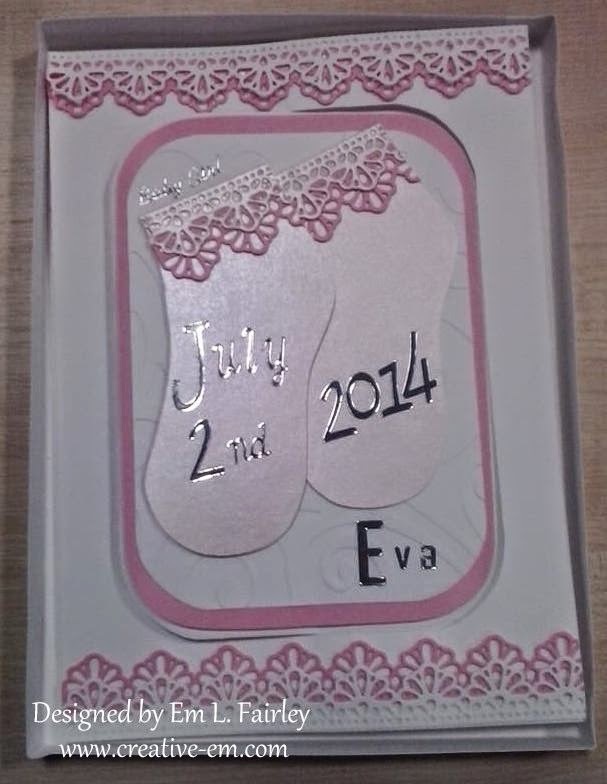 Such a pretty baby card the edging is so elegant. aweee so cute ! i really love the name Eva !